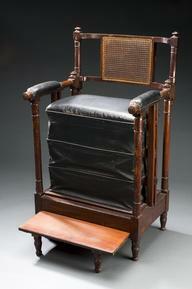 As the inventor of the automatic machine gun, Hiram Maxim (1840–1916) has a somewhat notorious place in history. 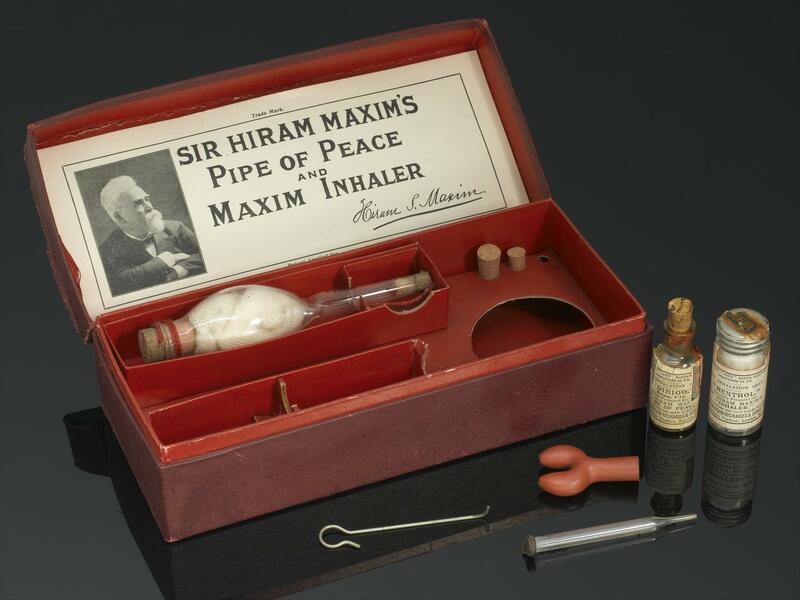 Less well-known is another invention of his, an inhaler which he called the ‘Pipe of Peace’. Soothing vapours from water warmed with a few drops of 'Dirigo', Maxim’s own calming concoction, could be delivered right to the back of the throat via a long swan-necked glass tube. As word of its effectiveness spread, demand for the ‘Pipe of Peace’ grew and eventually hundreds of thousands were sold in the early 1900s.